← It ain’t fair! … So What! 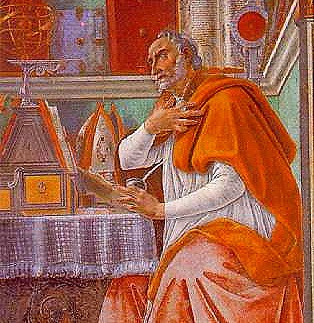 St. Augustine said sin was “Love of oneself, even to contempt of God.” Basically St. Augustine said sin is EGO. To love oneself above all else even God. We can trace this back to our first parents, Adam and Eve. They loved themselves above God when they ate from the tree of knowledge. They discovered there nakedness and became ashamed. The emotion of feeling of shame would not exist if we did not take so much pride in ourselves, if we did not love ourselves above all else, even God. The sin of loving self over others is ramped in today’s world. We see it in our movie stars and pro athletes and in everyday people. Look around you and you will see it, people who feel they are entitled to this or that, be it a job or love. We see it in all aspects of life and all age groups. The world has embraced this and even encourages it. The more we love ourselves the less we can love other and the less we can love God. Why would the world encourage this? Because if we are unhappy and lonely we become better consumers and more dependent on society to feed us, yet we will never be satisfied. We can not satisfy a hunger with earthly foods, not a hunger that is for our Heavenly Father, not a hunger for eternity. We may try, and we may feel satisfied for a few days, but the hunger persistent and the longing for satisfaction grows. We look for earthly solutions yet none will suffice, we seek the gods from our humanity when it is the God of our humanity that we truly want and need. Yet sin prevent us from finding that which we seek. The sin of self love is the sin of EGO. When we allow ourselves to enter into a relationship with ourselves that takes priority over others and God we have entered into sin. 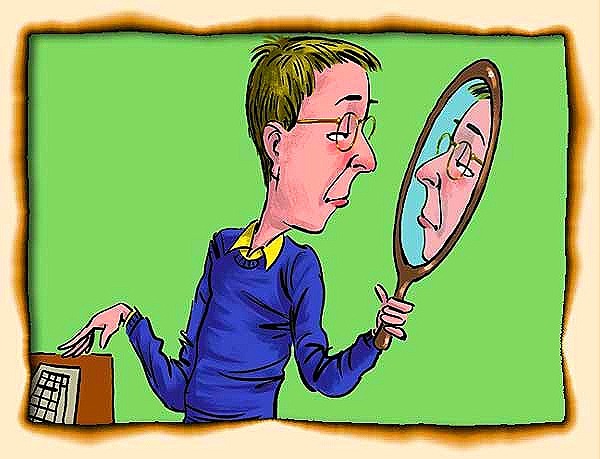 Self love can be looked at as a forms of glutens, adultery and even killing. We seek to feed ourselves with love of self, we horde the lime light, look for or create opportunities to pile praise upon ourselves and steel the moments form other and the worst of them all is we fail to give God the credit for our successes. When you are in a deep relationship with yourself, any other relationship would be adulterous in nature. You can not have more than one spouse, and your main spouse is yourself. You can not love self above all others and truly love anyone else. When you are so deeply involved in yourself, yet try to retain outside contacts you will be in contradiction of your nature. This contradiction of your nature will fight for survive, and in doing so will kill any relationship that threatens to destroy your own self loving relationship. EGO is sin, self love is EGO therefore self love is sin. We could add other sins to the list, such as idolatry or false gods and I am sure if I thought about it long enough I could fit all ten commandments in to this article, but I wont, you can do that as a Lenten activity. For now I will allow you time to digest this morsel of information and see where it takes you. This entry was posted in Ego, faith, friendship, Life, Love, Salvation, selfhelp and tagged Adam, adultery, Against, article, aspects, athletes, Augustine, BibleGateway, consumers, contacts, contempt, contradiction, Ego, emotion, father, foods, fruit, Galatians, Galatians 5:22-23, Glutens, horde, idolatry, knowledge, Lenten, Life, look, Love, moments, morsel, movie, Nature, oneself, patience, Paul, peace, pride, Relationship, rights, saint, satisfaction, self, solutions, spirit, spouse, tree, world. Bookmark the permalink.